Robert Mueller's investigation into whether President Donald Trump and the Russians colluded to rig the 2016 presidential election so far has borne little fruit. The Democrats and their media allies would love to find some Russian collusion and interference. I can help them discover some, but I doubt that they will show much interest. Here it goes. For years, Russia has been the world's largest oil producer. 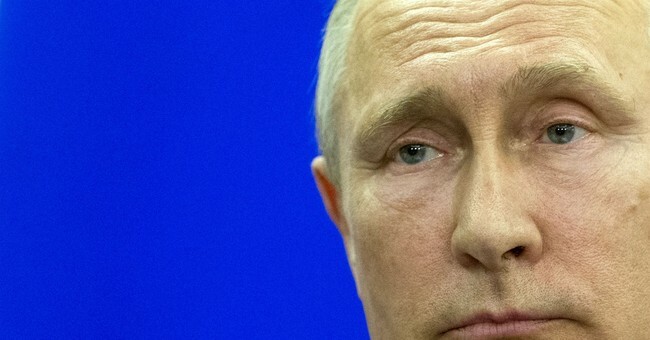 Within recent times, the U.S. has edged Russia out of the No. 1 spot. Much of the increased U.S. production is attributable to hydraulic fracturing, or fracking, in the shale formations in Texas and North Dakota. Now the U.S. is a net exporter of oil. Exports of oil have exceeded oil imports since 2011. This hasn't sat well with Russia, which has taken measures to hinder our oil productivity. An American Spectator magazine story points to the kind of Russian collusion and domestic meddling that meets the approval of Democrats, leftists and their media allies. The story is aptly titled "Russian funding of U.S. environmental groups shows how collusion is done" (http://tinyurl.com/y897kbt3). A 2014 U.S. Senate Environment and Public Works Committee report identified that the San Francisco-based Sea Change Foundation receives funding from a Bermuda-based shell company known as Klein Ltd. Klein Ltd. was created by attorneys from Wakefield Quin, a law firm that has close ties to Russian President Vladimir Putin. Klein Ltd. operates as a "pass-through" organization for foreign funds going into the U.S. The IRS requires nonprofit organizations to file 990 forms that report their activities. Those 990s show that Klein Ltd. contributed $23 million to the Sea Change Foundation in 2010 and again in 2011. That's about half of the contributions Sea Change Foundation received during those years. Those same 990 forms show that the Sea Change Foundation distributed more than $20 million in grants in 2010 and 2011 to environmental organizations. It gave more than $40 million in grants to leftist environmental groups, such as the Natural Resources Defense Council, The Sierra Club Foundation, the League of Conservation Voters Education Fund, the Tides Foundation, the Union of Concerned Scientists and the World Wildlife Fund. In return for the grant money, those leftist environmentalists were "to promote awareness of climate change," "reduce reliance on high carbon energy," "educate the public about climate and clean energy" and "promote climate and clean energy communications." A U.S. House Science, Space and Technology Committee report, titled "Russian Attempts to Influence U.S. Domestic Energy Markets by Exploiting Social Media," details that the environmental groups used the Russian money to protest the process of fracking and fight the building of the Keystone XL pipeline. If environmentalists can thwart U.S. oil production, Russia, which is a major energy supplier to Europe, stands to gain greater economic and political power. Russia is also a major supplier of natural gas to all of Europe. U.S. natural gas producers long wished to export some of their product to Europe and Japan to take advantage of higher prices. But up until 2016, they were blocked by natural gas export restrictions. In the case of natural gas, the Russians didn't have to bribe environmentalists to do their dirty work. They had willing support from U.S. industrial giants such as Dow, Alcoa, Celanese and Nucor, members of America's Energy Advantage. These U.S. companies lobbied against natural gas exports, saying that it would be unpatriotic to allow unlimited natural gas exports. Export restrictions kept natural gas prices artificially low and gave U.S. manufacturing companies a raw material advantage. The lifting of export restrictions has raised natural gas prices in the U.S. but lowered them in the recipient countries and weakened Russia's economic and political hold on Europe. In my book, that's a good thing.